My role in the future of medical research. I am a 5-year bone marrow transplant survivor, having been actively treated for myelofibrosis, one of the MPNs, during the four years prior to transplant. In late 2013 I was nominated to join a peer review panel of scientists evaluating grant applications for cutting edge, “outside of the box” medical research into bone marrow failure diseases similar to our MPNs (myeloproliferative neoplasms). While I don’t have any formal education in medicine, I quickly found out that my past experience as a patient with myelofibrosis and my experience in the MPN community were my unique qualifications to join. I was to be the panel’s “consumer reviewer” representing the views and concerns of the “consumer community” to use their parlance and I would have full voting status on the panel, equivalent to a scientist! I also realized that, I was going to influence the future! I was soon contacted by the consumer reviewer administrator from SRA International, Inc. for this Department of the Army program. (SRA is the company that conducts scientific peer review for the program.) In a telephone interview, she described the program, explained my responsibilities, and answered all of my questions. They also requested a resume to complete my nomination. In addition to my previous “day jobs”, I included my volunteer work for Be The Match, participation in the MPNforum and other groups which underscored my interest and experience regarding the MPN community. The final step in the “on-boarding” process was to sign the confidentiality and privacy agreement that prohibits panel members from discussing the content of the applications… ever. This work is supporting the Department of Defense and they mean it! I was soon introduced to other staff at SRA Inc., that would be my resources during the review process and I received my training. At the top of the resource list was my consumer reviewer administrator who would also act as my mentor. The reviewer training I received along with the program’s ethics, privacy protection, and security were excellent. Now I was ready to begin my actual work! I was impressed and amazed throughout the review process. To begin with, these grant applications are written by top scientists that are encouraged to propose high risk/high reward hypotheses. These are some of the best and brightest minds exploring questions about the causes of these serious diseases for which there are few, if any, therapies. I couldn’t help but think of similar research from a few decades ago that lead to the stem cell transplant procedure that saved my life in 2010. The panel scientists focused on all of the medical and technical issues while I focused on the impact of how the successful results of this research would affect the consumer community. A key point regarding my task was that I was to assume the research described in the application would be successful and then speculate about how life for the consumer community would change. Like MPNs, the bone marrow failure consumer community deals with pain, fatigue, frequent doctor appointments, therapy with side effects, physical debilitation, expensive medicines, lost time from work or school, and anxiety about the future. It was tantalizing to imagine how misery and suffering might be alleviated by the work I would be reviewing. It would be wonderful in both the speculative sense and the real sense to find a perfect therapy but the grant application authors know this isn’t true. Each therapy had anticipated desirable and undesirable effects as stated by the author. Could the good outweigh the bad and if so by a small amount or a large amount? Would it affect a small or large part of the community? Seeing and understanding the real world experiences of those who have used drugs such as imatanib (Gleevec) and ruxolitinib (Jakafi) helped me immensely. The elements of time and economics are also critical to the consumer community. How quickly could the drug be brought to market? What would the cost be? I could personally identify with real world issues like this as I was fortunate to be in a clinical trial for a drug that mitigated my symptoms for a couple of years time until my matching stem cell donor was located. Probably the most exciting and memorable part of the process was meeting and working with the scientists on the panel. Up to this time we had worked independently on our reviews and now we would discuss them, with each panel member having an equal vote. We all respected one another because each of us brought special knowledge and experience to the table. An SRA staff member and a chairperson guided the discussion. The first big thrill for me was being asked to open the meeting with a recap of my life experiences with myelofibrosis and my stem cell transplant. I was further honored when I was asked to lead a few moments of silence to honor those who have contributed to bone marrow failure research along with those who had experienced bone marrow failure but were no longer with us. At the panel meeting, each member presented his or her own review of the application. It’s not hard to imagine that comments from various members, including my own, could be contradictory, but everyone listened and respected one another’s opinion. The high point for me was when my comments would sufficiently influence one or more scientists to modify their judgment of a particular application based on my assessment of the impact to the consumer community. It was at this moment that I knew I was making a unique contribution to medical research that could help someone that I might know in the not so distant future. With all the reviews summarized and accepted, the panel’s work was complete. 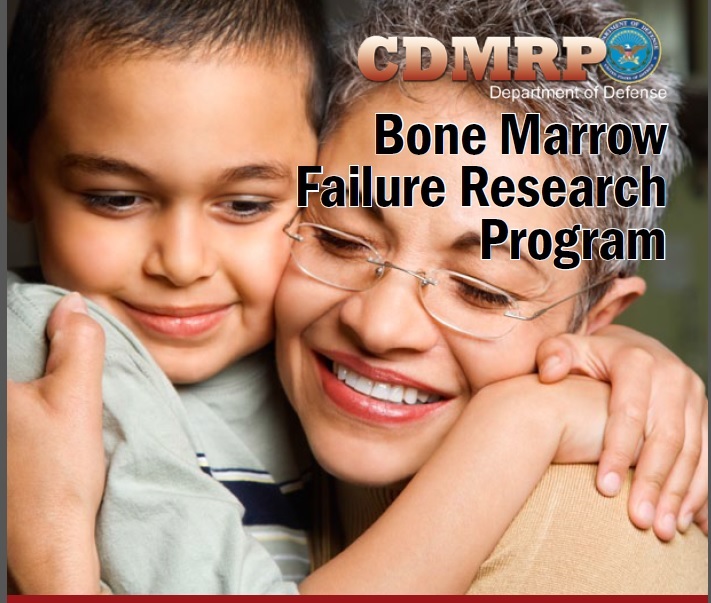 To complete the grant application review process, our panel’s reviews were provided to the Bone Marrow Failure Research Program (BMFRP) integration panel that would decide which applications to recommend for funding based in large part on our summaries and recommendations. 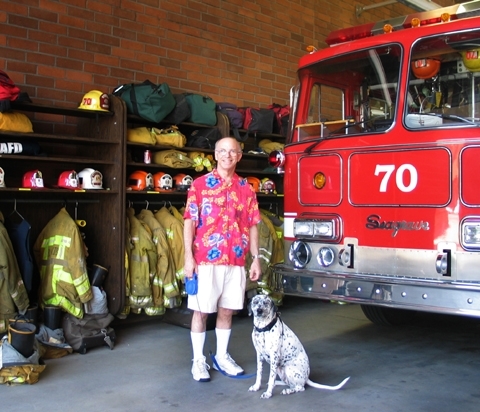 “When I experienced bone marrow failure and a subsequent successful stem cell transplant, I made an involuntary quantum leap into a new world, a parallel universe of physicians, procedures, and medicines unlike anything I ever experienced or imagined. Starting in 2014, the topic of MPNs was added in another section of this overall research program, known as the Congressionally Directed Medical Research Programs. This is something in which MPNforum readers have great deal of knowledge and experience and is really good news for the MPN community as a whole. I hope readers of this magazine will consider participating in this opportunity to “pay it forward” by serving as a consumer reviewer for this program. More information about participating as a consumer reviewer: There’s additional information about the research program in the sidebar. Author’s note: You can read my transplant story written in 2011. Congressionally Directed Medical Research Programs (CDMRP) programs, such as the one I participated in, encourage researchers to explore high risk topics and to think outside the box in their applications. These programs target a wide range of serious diseases or disorders including breast cancer, autism, Gulf War illness, lung cancer, and many others. Each program involves a peer review panel that includes at least one consumer reviewer in addition to several professional scientists. As a member of the consumer community, which includes patients, family members, and persons affected by and at risk for certain conditions, the consumer reviewer is chosen for their personal unique qualifications to assess the potential impact on the community. Importantly, the consumer reviewer has an equal vote with the professionals on the peer review panel. Beginning with breast cancer research in 1993, CDMRP has funded additional research programs over the years. In 2008, the Bone Marrow Failure Research Program, in which I was involved, was added. Although the causes of bone marrow failure diseases may be different than the myeloproliferative neoplasms (MPNs), the overall impact on the bone marrow failure consumer community is much the same. As of 2014, MPNs are now a research topic within a different CDMRP program called Peer Reviewed Cancer Research Program making more funding available. With more MPN-specific research funding available, new opportunities exist for the MPN community to become consumer reviewers. There are more opportunities to research the causes and cure for MPNs than ever before. What an amazing opportunity for you, Marty. Thanks so much for sharing.